Boston Qualifier: Harish has qualified for the 2019 Boston Marathon by 8 minutes. Harish has no races scheduled. 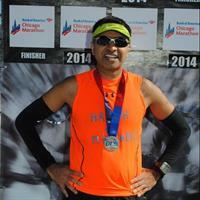 Next time you see Harish, please encourage him to logon to the site and add some to their Personal Race Calendar.